Cushman & Wakefield | CRESCO Real Estate was approached to locate a building large enough to accommodate the future plans for a family entertainment center. The client preferred to be located in Aurora, be at least 30,000 SF, have at least 24ft clear ceilings and have over 200 parking spaces. The property also needed to be located near the highway for easy access to customers. CRESCO Real Estate located an old shopping center in Aurora, but it needed approval to be renovated into the needs of the family entertainment center. Another option was to purchase land in Aurora, which was located across from the Aurora Outlet Mall, but unfortunately, the zoning change was not approved by neighbors surrounding the property. The possibility of finding a place in Aurora was becoming more challenging than originally thought. CRESCO Real Estate’s team began looking outside of Aurora and located an old Kids-R-Us in Parma that would fit most of the needs for the family entertainment center. The building had high ceilings, plenty of parking, but would need an addition to reach the full 30,000 SF needed by the client to include all of the attractions they wanted to offer. 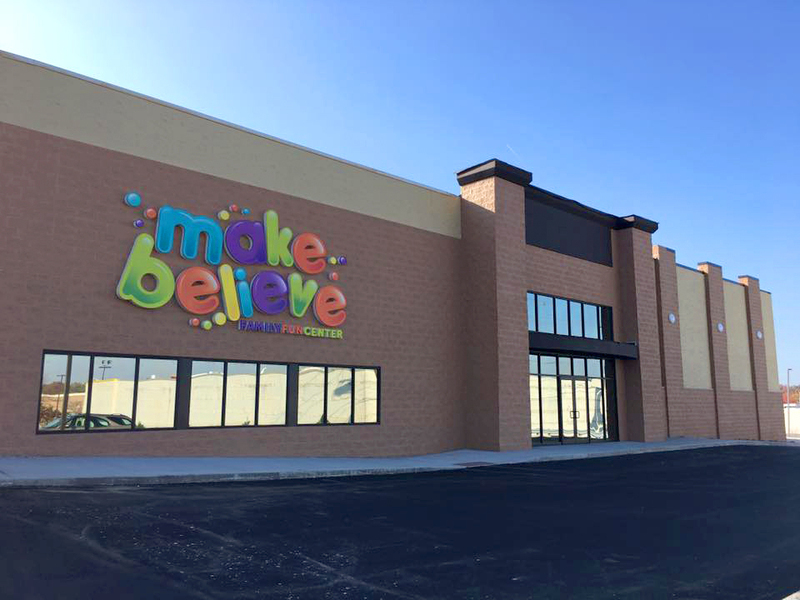 After nine (9) months of approvals and construction, the Make Believe Family Fun Center was able to open to the public, providing a place for both kids and parents to have a safe and exciting place to play. Despite not being located in the original city of choice, the client is excited with the results and plans to open up more centers around the Cleveland area. To find out more, visit their website: http://makebelieveparma.com/.